New Zealand’s business environment and tax policies are encouraging a greater number of international companies to shift their operations into the country. While making a media statement on May 31st, ManufacturingNZ executive director Catherine Beard said that New Zealand’s 28 percent corporate tax rate and comparatively low wage rates is an strong incentive for Australian manufacturers to shift at least part of their production to New Zealand based facilities. Her comments came in response to an announcement made on May 27th by the global food manufacturer Heinz that it will move part of its sauce making operations to its subsidiary Watties in Hastings, within the next 12 months. The Labour Party and the National Party are set to clash over the issue of taxation, with both parties breaking into their election year campaigns and promises, in which the Labour Party is promising a comeback to research and development tax breaks. The Labour Party revealed one of its primary election year promises on May 22nd, promising to boost the national economy by billions per year through the renewal of the research and development tax credits. New Zealand’s new government budget has been revealed, showcasing a series of changes aimed at shoring the country’s economic position into the future, through several cost cutting measures and a lack of any new public spending. The New Zealand government released its 2011 budgetary plan on May 19th, revealing several changes to the country’s economic policies and new forecasts for the country. The release outlined the government’s primary goals of reducing spending, shrinking public debt, increasing national savings levels, and supporting the goal of a future financial surplus. 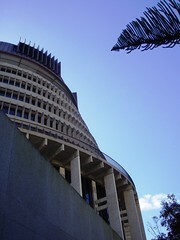 The new budget was presented by the Finance Minister Bill English. New financial figures released by the government show that the New Zealand is facing a much higher budget deficit than was forecasted last year, and the upcoming government budget plan is set to reflect the new financial situation. 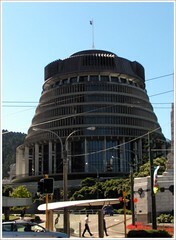 The New Zealand government has released its financial statements for the nine months ending March 31st 2011, showing that that although core crown tax revenues were marginally higher than expected, the operating deficit for the period is nearly 15 percent worse than was forecasted in March 2010.